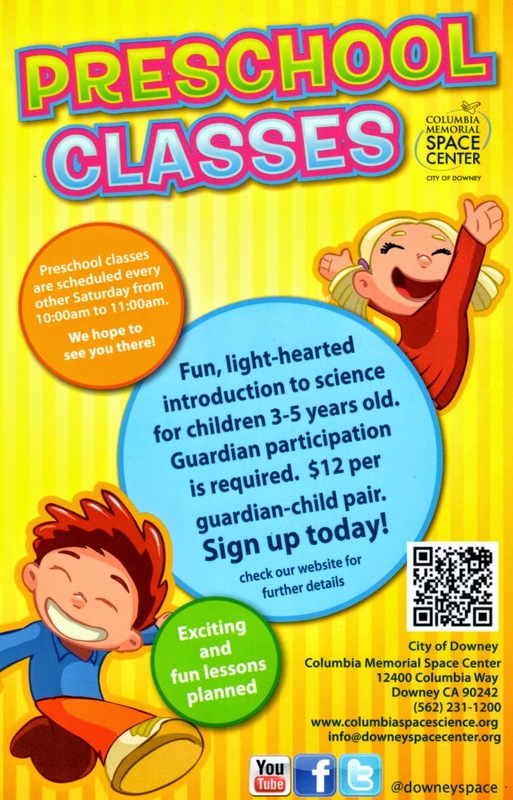 The Columbia Memorial Space Center in Downey has a great Preschool Science class that runs twice a month on Saturday at 10am. The one hour class cost $12 per child-adult pair and grants admission to the class & all day admission to the museum. Click here for more information, the Preschool Classes are in yellow.